We noticed trends and confirmed the latest Google updates this year. Here are the updates that matter in 2017. 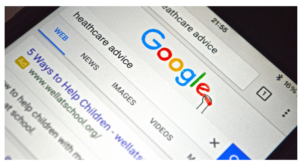 Let’s start with SERP changes that affected SERPs early this year. The release caused a lot of buzz in the net since it was so subtle and the announcement to make it a part of the regular update. The impact is always less than 0.3% off all websites every role out. But when something that we always anticipated makes a barely noticeable impact then we have cause to worry. 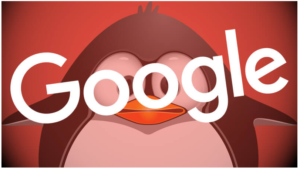 SEOs around the globe have many different theories and stories revolving around Penguin. Here’s the truth based on impact. The Penguin 4 release was a start of the algorithm being absorbed by the core algorithm that updates frequently. The scare here would be the word frequently. Until 2017 all Penguin updates are announced and confirmed afterwards. This time since it will be part of the regular update, no announcements, no confirmation. That my friends is the biggest fear of SEOs. 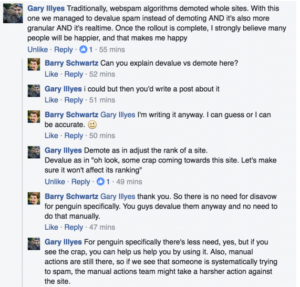 We all know that Penguin deals with spammy links and this time they targeted Website that have a lot of links from Public Blog Networks. We looked at agencies that use this as their primary link building method and suffered hits. So If the agency only has this link type then that means their clients only have these link types right? Right. The agency and their clients lost positions when this was rolled out. Lawyer sites, Dentist sites, plumbers from the United States and some parts in Asia were affected by this. Focus on different methodologies and make use of diverse links. To learn more about this please refer to Google Webmaster Guidelines. John Mueller talks about this all the time. We are all constantly reminded to build for the users and avoid gaming Google. How do you bounce back? A simple disavow? No! Gary Illyes answered RustyBrick’s question earlier about recovering from this the right way. Sitespeed rules mobile – We’ve seen great results in mobile visibility by simply raising the site speed. This makes sense since the intent is to help improve the user experience. Usage of Rich Cards – since this technology is proprietary to mobile, websites that have this are able to get position zero. The best way to leverage technology to take the lead. 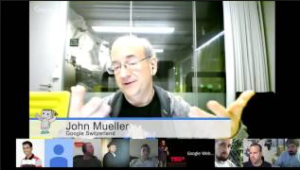 Knowledge graph, Answer box are also affected by recent updates and we’ve seen Google experiment with Paid ads as well. This tells us to improve usage of the right type of Schema markup. Content is for Ecommerce now more than ever. There’s a case study showing which ranking factors will help you leverage your products better than the competition all believe it or not content has many different playing fields that SEOs tend to overlook. Here are some insights for 2017 content improvement. Readability as a metric is intended for users to absorb information better if not faster. You might want to look up different content formatting that includes bulleted formats, enhanced graphics and an old school metric Google’s Eye movement or now simply heat maps. Drop downs, summaries and split testing are all important to help educate your visitors and reduce bounce rate. Let’s not forget keeping content fresh and AMP. Trust factors, social proof and site badges are the real rising stars of conversion and minimizing bounce rates. Ecommerce websites that show these really rake in the sales since having these present on your ecommerce site helps visitors decide to trust you instead of the cheap competition with no guarantee or identity. Customer reviews are a favorite and is also the secret to Amazon’s success. Unique Selling or Value Proposition captures attention and brings conversion. Write more your own product details or reviews, empower your customers to write their reviews and simply add more information on how easy it is to use the product, how it works and why people should buy them. You may also want to do product comparison. 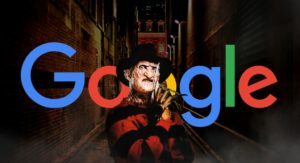 Say Hello to Fred – Rumors went flying around forums as Google announced Fred. Barry Schwartz was first to report this and immediately created posts and tweets to get to the bottom of this update. This Algorithm update was first suspected to have strong significance with immediate drop in rankings based on PBN links. We then found out that this was intended to weed out Made for Adsense type landing pages that have irregular Ad placements or simply Ad heavy pages that don’t really answer queries. I remember declining Made for Adsense Websites back in 2008. There are plenty of ways to get links, don’t stick with just one methodology. For more insights about the future of SEO, follow Notimpo.com’s bloggers Jason, Bingo and Michael.